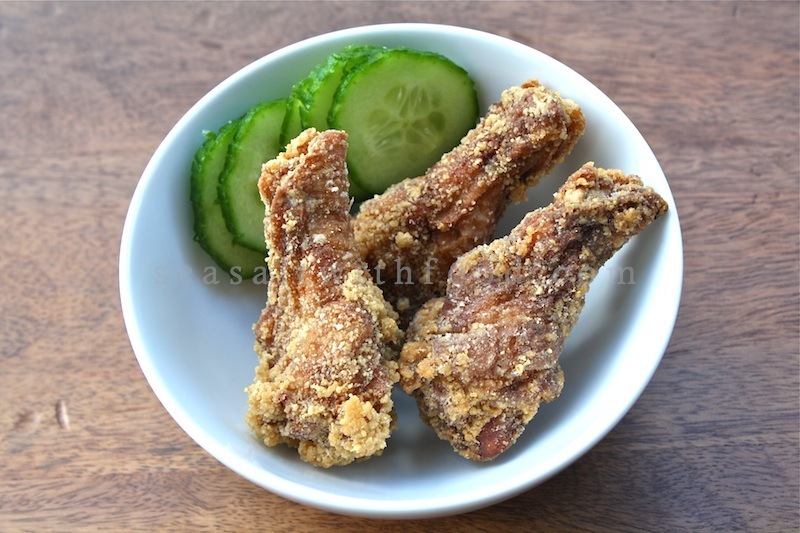 This is my Chinese style Crispy Soy And Ginger Chicken Wings recipe. I marinated the chicken wings with soy sauce, Shaoxing wine, and ginger juice. The chicken wings were then dipped into a bowl of beaten egg and subsequently, coated with sweet potato flour. 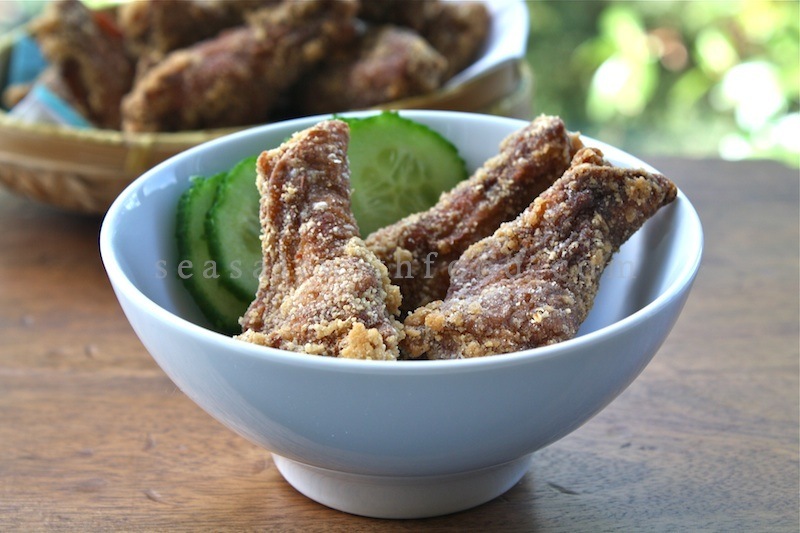 The chicken wings turned out crispy, with just the right amount of saltiness from the soy sauce and with lots of ginger flavor. Delicious! Pour at least 5 cm (2 inches) of oil into a large frying pan over medium heat. Heat until the oil is hot. 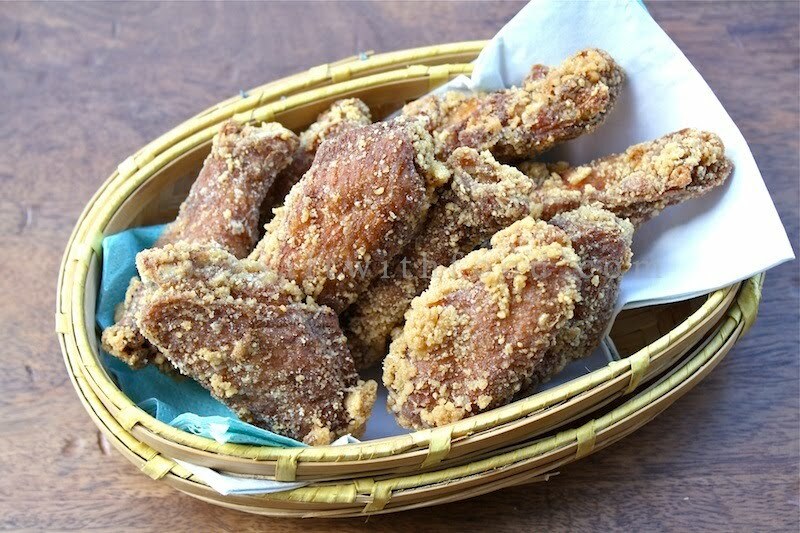 Dip the chicken wings into the beaten egg and coat them with the sweet potato flour to coat it on all sides, making sure that all the nooks and crannies are covered. Add the chicken to the hot oil and fry until it is crispy and golden. It is important that the chicken is cooked right through to the bone - use tongs to turn the pieces over a couple of times until you are satisfied that they are deep golden and cooked through. Lift out onto a plate lined with kitchen paper to absorb the excess oil. Serve immediately. Oh, I'll definitely be making these. They look delicious! Thanks for passing the recipe along. by loooking onto the recipe, i tells me that this deep fried chickenis awesomely good, love that ginger being added! lovely! That looks great. Would you ever add chili to the marinade? @rich (them apples): Yes, but not for this recipe though.